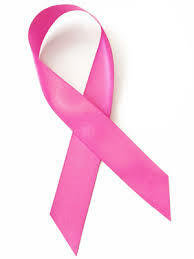 Breast Cancer has touched our club, our friends, our family and our wonderful community all too much. For this reason, Newcomers is devoting our upcoming January Wellness General Meeting to the fight against Breast Cancer. We are hoping for a great turnout for this important event. Please register and bring a friend or neighbor. For those in attendance, we will be raffling a free ticket to our upcoming philanthropic event, Labor of Love, on Feb 28th. Lutheran General is very excited to welcome our club. Dr. Heidi Memmel will speak to us about Breast Cancer prevention & symptoms followed by Q&A segment. Tours will also be available for our members to view their state of the art mammography equipment. Following the presentation, we will socialize, shop and sip. We will be bringing back our popular "What's Your Business?" segment as a way of promoting our current club members' businesses* and supporting our big Labor of Love event. A portion of all proceeds from your purchases will go directly to our wonderful Labor of Love recipient, who is currently fight Breast Cancer. When: Thursday, January 15th from 7-9pm. Where: Breast Center, 1700 Luther Lane. One stop light north on Dempster from Greenwood in Park Ridge. Parking is free there. Please park on the third floor of the west garage in the CAC building. This will allow everyone to walk directly into the Breast Center lobby. *If you have a business and would like to participate in this event, please contact our event organizers, Brandy Oomen (bmh312@hotmail.com) or Joanne Palomeno (joanne.palomeno@gmail.com) for more details.